1. Picture frames are NEVER, EVER measured from the front!!! 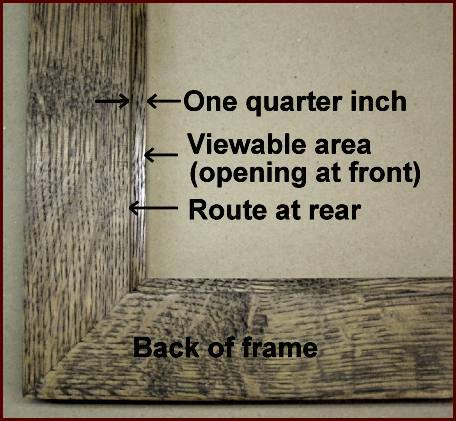 Frame are ALWAYS built after measuring the size of the art being framed and are then built to those measurements. 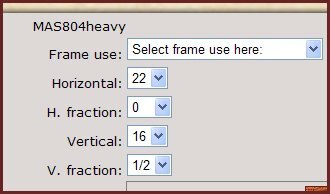 Your frame will be the wrong size if you make the frame bigger or smaller because you're adding or subtracting a fraction of an inch to compensate for the routed edge. 2. The size of the route at the rear of the frame is the ONLY measurement that matters. A 22" wide (horizontal) x 16 1/2" high (vertical) frame will hold a piece of art that is 22" x 16 1/2". 7. The route at the rear of the frame is typically made approximately 1/8" larger to allow for 'wiggle room'.